You Could be Betting Your Life on Your Training! Welcome to Mad Duck Training! "You could be betting your life on your training." Looking for more than just a basic pistol course? Looking for quality training? Acquire the knowledge, skills, and attitude to carry & use a handgun safely, legally, & effectively! We keep the classes small in order to give hands on training! Get the knowledge you need to stay legal! Think about this: During your class a violent crime will occur every 6 seconds according to the BJS. We offer an Ohio Concealed Handgun License course which exceeds the requirements of the Ohio R.C. 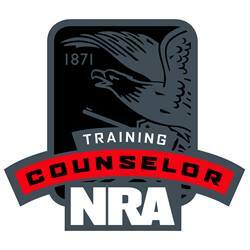 In addition to the Ohio CHL course, we also offer the NRA Personal Protection courses,SAFTD Defensive sourses, SAFTD & NRA Instructor training, & additional advanced training courses. Mad Duck Training can meet all your training needs! The Chief Instructor has over 26 years of training as a Certified Instructor/Counselor and over 50 years of shooting experience. Our classroom and range are located on the same premises! 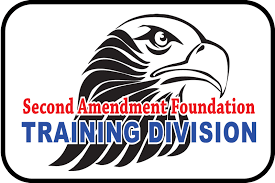 We offer Instructor Training for SAFTD & NRA Certification, advanced handgun self-defense courses, and present an expanded & approved Conceal Handgun License course that meets the requirements of Ohio Revised Code for Concealed Handgun License training. The professional level, 10 hour course, covers Basic Safety, Pistol Types, Ammunition, Basic Skills, "Considerations of Concealed Carry", and range time with live fire. The course also covers the Ohio mandated CCW Booklet. Why a name like Mad Duck? 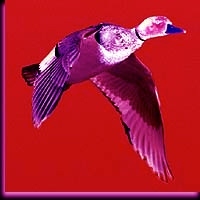 I once saw a mallard duck defending her young against a 90 pound Labrador dog. Not only did she drive him out of the pond, but chased him across a parking lot too. Oh, the fury of a 6 pound duck defending the family! Dialing 911 takes seconds, but waiting for help could take the rest of your life! I want to provide you the skills to defend yourself and then wait for reinforcement. "No greater wrong can ever be done than to put a good man at the mercy of evil, while telling him not to defend himself or his fellows. In no way can the success of evil be made more sure"
There are budget courses, even "Free" courses, but most (if not all) of them are just basic gun safety courses! They will not cover ways to protect yourself legally, emotionally, or financially! Bad guys don't train online, and neither should you, get hands on, in person training at Mad Duck Training. They do not teach you how your mind and body will react to a violent attack OR how to control the panic in order to prevail in the confrontation! They will not cover what you need besides the gun! Unfortunately, very few cover proper ways to carry the gun. Very few will prepare you as fully as our course does! Saving $30 now may cost you $30,000, or more, later when you have to hire that attorney! Get the correct information before you carry...MAD DUCK will do that for you. Also Mad Duck will be there after the course to answer any questions concerning concealed carry and self defense.